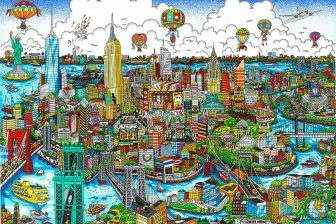 Charles Fazzino, travels all over the world to exhibit his 3D Pop Art. 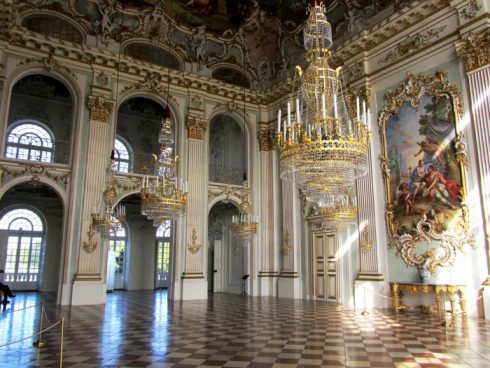 But, it’s not every day that the he has the opportunity to show his work in the world renowned Nymphenburg Palace! 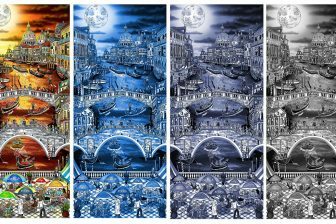 His upcoming four-day exhibit will be presented by Galerie Mensing in one of the best and most popular attractions in Munich, Germany called the “Schloss Nymphenburg.” Also, known as the “Castle of the Nymph” this Baroque palace in Southern Germany is a beautiful and historic place conveniently located near many of the hotels in Munich. It attracts more than 300,000 tourists and that number grows with each passing year! The Nymphenburg Palace was originally a summer residence for the heir to the to the throne, Max Emanuel, who was born in 1662 to the Bavarian Elector Ferdinand Maria and his wife, Henriette Adelaide of Savoy. They commissioned the design of the Palace from Italian architect Agostino Barelli in 1664 after the birth of their son Maximilian II Emanuel.Over time, the castle was expanded and transformed and was finally completed in 1675. The Castle remains one of the most famous sights in Munich, known for it’s baroque facades that span almost half a mile. If this spectacular Castle is something that you have never heard of here are some fun historical facts you should know before you plan your visit! Agostino Barelli was commissioned to build the palace as a summer residence for Elector Ferinand Maria and his consort Henriette Adelaide of Savoy after the birth of his son and heir. 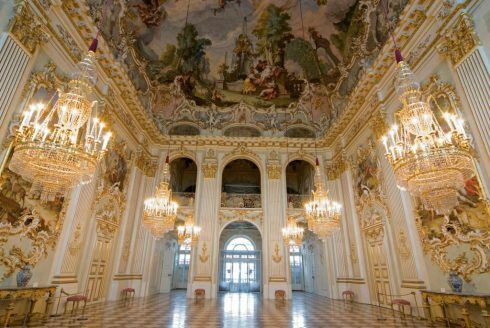 One of the most famous features of Nymphenburg Palace is the “Gallery of Beauties” which was painted for King Ludwig I by Joseph Stieler. The palace today is much different than it was when first constructed as five Wittlesback rulers have changed and added to the palace. 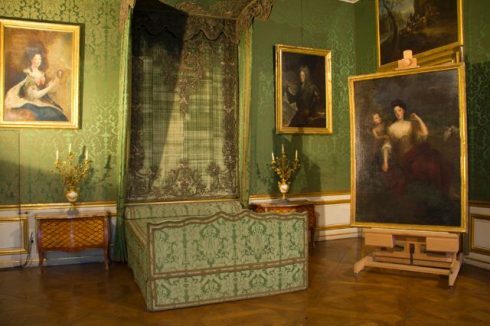 Visitors may view some rooms that are decorated in the original Baroque style while others have a more modern design. Many carriages that are on display in the carriage museum were used in royal coronations. Much of the design and architecture of Nymphenburg Palace are inspired by French and Italian architecture. 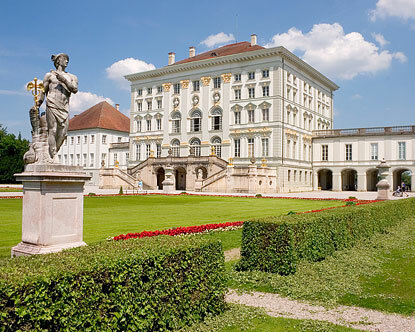 While one of the most popular attractions, the palace is still home to the duke of Bavaria. 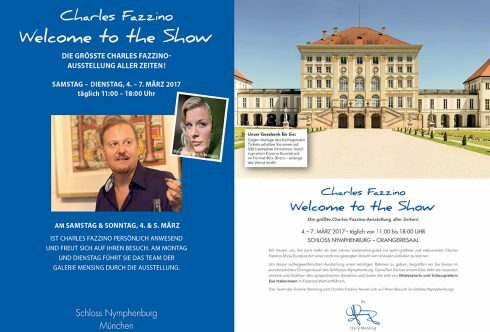 Now that you’ve learned a little about the Castle of Nymphs, you can appreciate and understand what an honor it is for Charles Fazzino to have the opportunity to present his work in this place that is most certainly fit for a King! 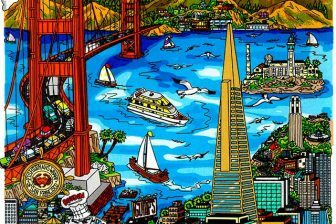 The CHARLES FAZZINO exhibit will run from March 4th to March 7th. If you’d like to come and meet the Artist, Charles will be present during the exhibit on March 4th and 5th!